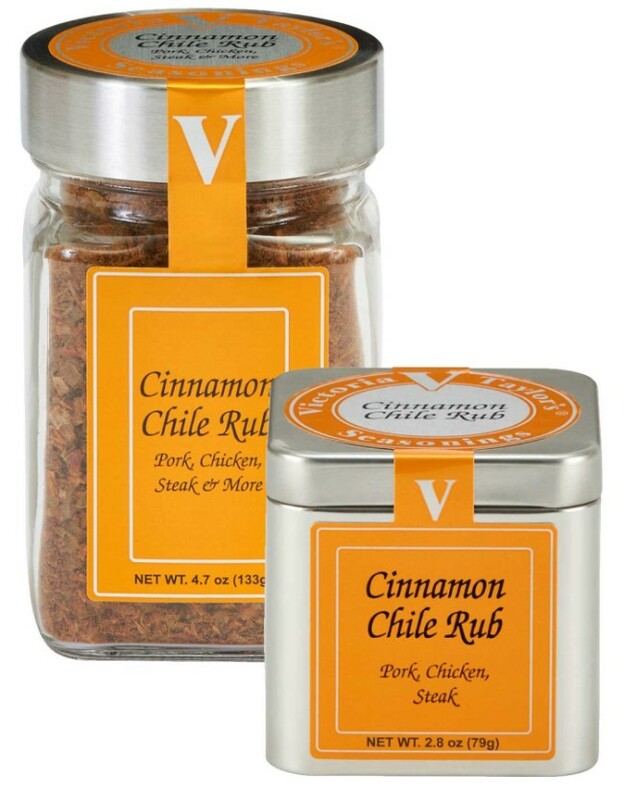 Our Cinnamon Chile Rub combines the smooth sweetness of Sumatran Korintje cinnamon with smoky, spicy heat of chipotle and ancho chiles for unparalleled depth of flavor. This sweet and spicy rub is perfect for jerk-style recipes or sprinkled on sweet potato fries. Mixed spices (korintje cinnamon 9%, chipotle chili pepper, allspice, thyme, black pepper, ginger, celery, nutmeg, red pepper, chili pepper 8%), demerara sugar, vegetables (onion, garlic, green onion, parsley), sea salt, citric acid.